I finally had the chance to get the images posted of my DAC Group commission from 2014. This was an exciting project for me as I had the images printed, framed, and hand-delivered by me and my friend and fellow artist, Scott Simons. Special thanks to Blackbird Framing for the excellent framing job! DAC Group, a Canadian digital marketing and PR company, commissioned me to create a series of cityscape photographs which now hang in their newly designed Chicago office on Michigan Avenue. In addition, they will be conducting a PR campaign to local media and sending out smaller, limited edition prints to the press announcing their arrival in the city. I'm excited to announce a new corporate commission project that I've been working on the last couple of months. 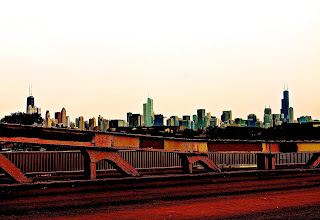 DAC Group, a Canadian digital marketing and PR company, contacted me about commissioning some cityscape photos to promote their new Chicago office. I'm thrilled that they will be installing large-scale prints of the below photographs in their newly designed Chicago office on Michigan Avenue. In addition, they will be conducting a PR campaign to local media and sending out smaller, limited edition prints to the press announcing their arrival in the city. It's a great opportunity for me to get this exposure to the Chicago media and I'm hoping it will lead to more exciting projects! It's been a good couple of weeks of art-related stuff - here's a round-up: I finished the commission painting which is now with its owner - author, Holly McDowell. Special thanks to Holly for asking me to create this custom painting for her home! I was interviewed by Mike Stephen from Outside the Loop Radio - a weekly radio program that airs on 88.7FM - WLUW in Chicago. 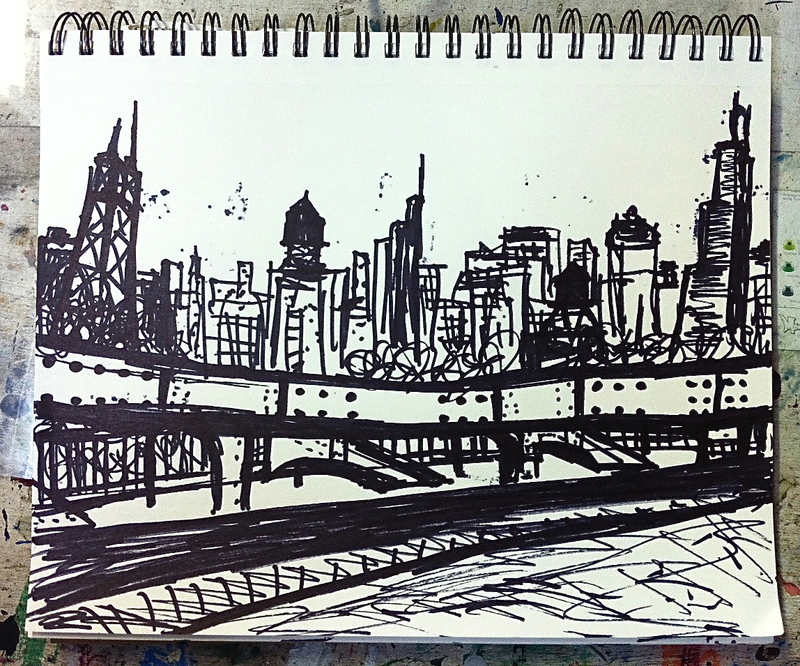 We talked about my studio, the Cornelia Arts Building, its history and its place in the Chicago art community. My interview segment comes in around the 5 minute mark - but listen to all of it - it's a great show! I was asked back to show at Degenerate Art Gallery again in November after a successful October show. It will be group show again and I'll have some abstract paintings on display. Glad to be part of this new gallery in Edgewater not far from where I live. Opening Reception is Saturday November 16, 7-10pm. More info on that to come. I started a new commission painting for a friend late last week. 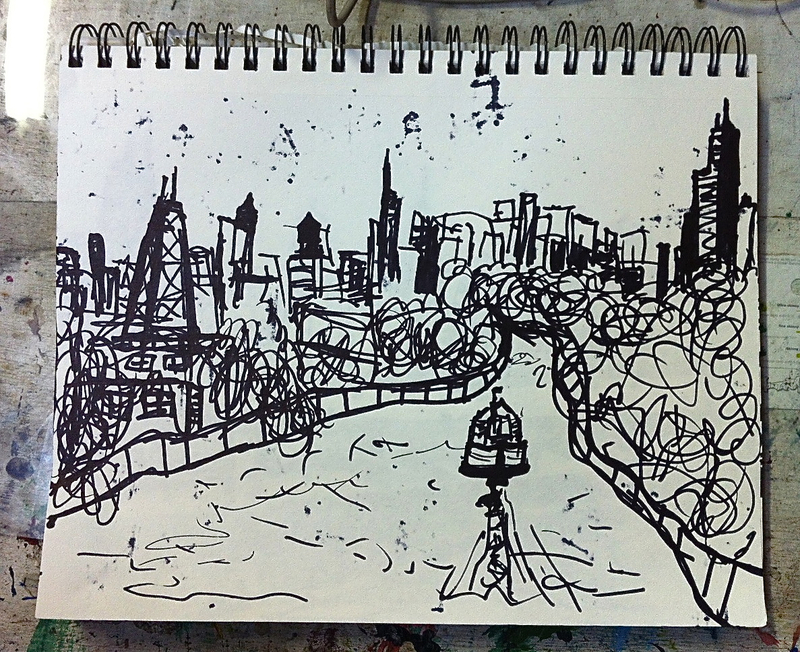 She is looking for a cityscape in my abstract style. 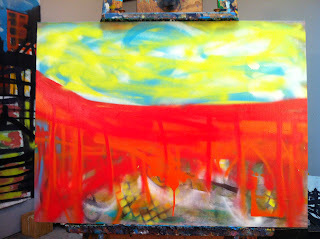 There were certain colors and concepts we talked about and now the composition is taking shape. 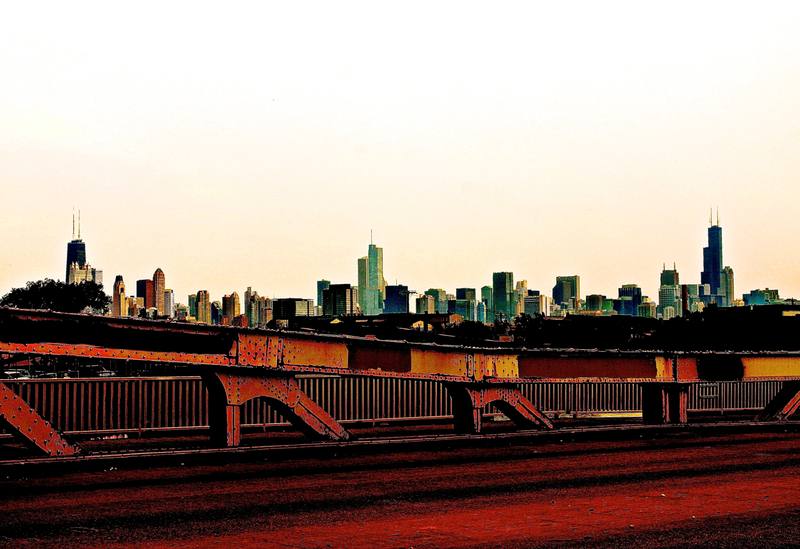 I based the concept on different photographs I shot from various spots with a good view of the Chicago skyline. I also did some sketches and a test painting before starting. Lots more to go but off to a good start! We have a late August heatwave happening here in Chicago. 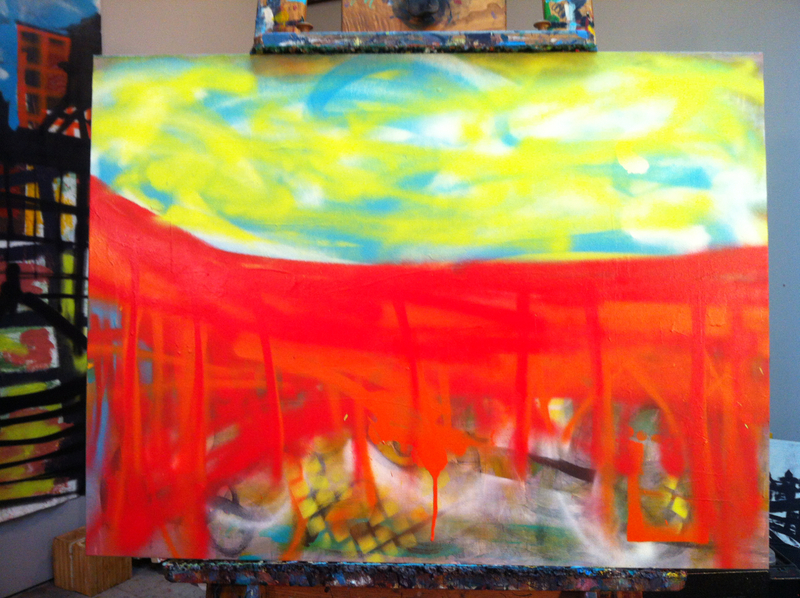 A perfect time to start on a new commission painting in a studio with no AC! 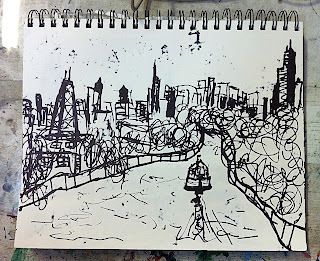 Part of my process for creating custom paintings is doing a lot of sketches and taking photos. Once I come up with a composition then I start painting. Here's a photo I shot yesterday while walking around in 95 degree heat. A few weeks ago, someone randomly found my art online and wanted a print of one of my paintings. 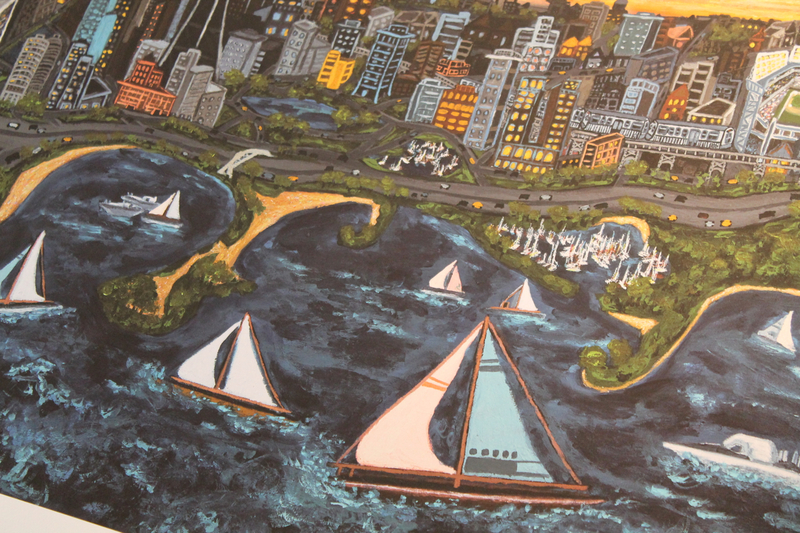 It was of Chicago Lakefront Skyline, one that after completing last year, I had it professionally scanned/photographed. 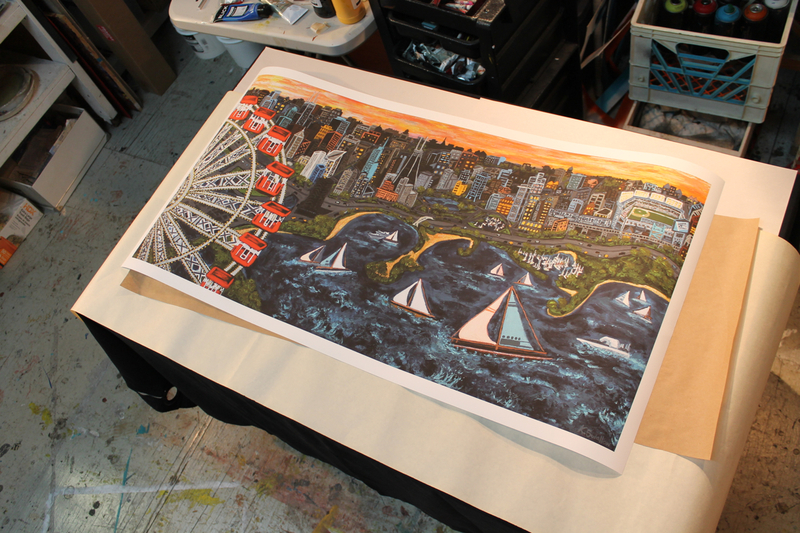 This allowed me to re-print the image with high resolution as a giclée print on archival somerset velvet paper. 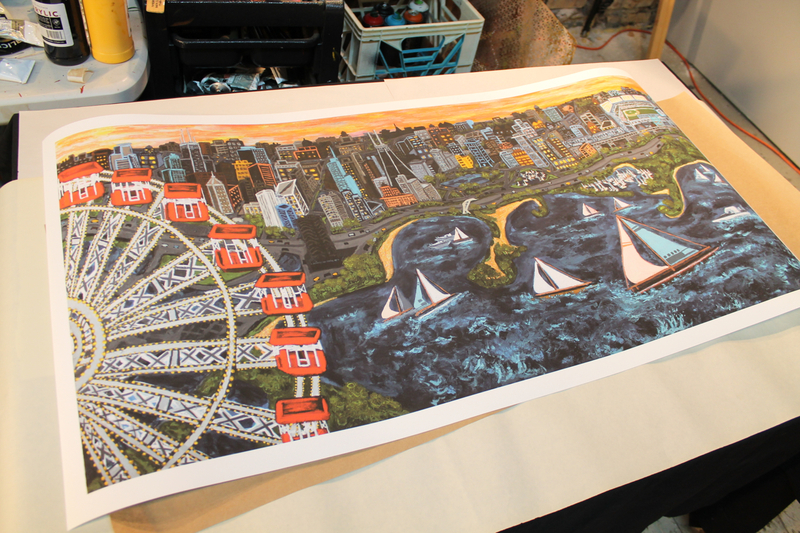 This printing process is great when you have a high-resolution file like I did because it shows all of the brushstrokes and colors much like the original. 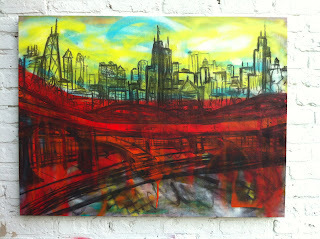 Here are a few pictures of it in my studio before the collectors picked it up. 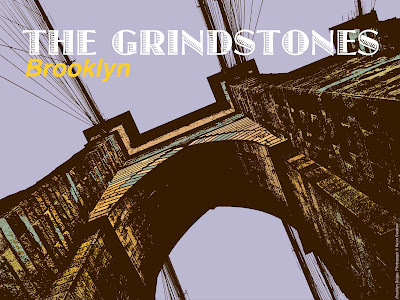 I recently licensed my Brooklyn Bridge photo to a Norwegian indie rock band, The Grindstones. I also designed the cover image for their song "Brooklyn" which will be released as a digital single on Spotify soon. You can hear the song along with some others over on their website. 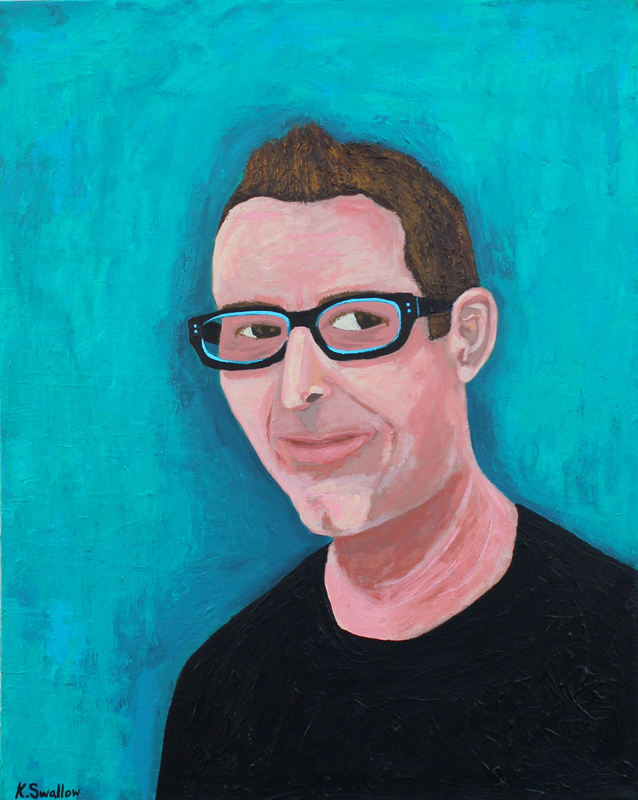 As 2012 came to a close, I decided to create a self portrait - The Cornelian. 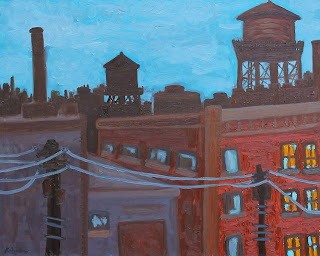 It's based on a photograph taken in front of the Cornelia Arts Building where my studio is located. I haven't done a self portrait for a while, so I figured it would be a good exercise to go through since I've been a full time artist for one year now. I think the portrait reveals a several things: happiness, uncertainty, confidence and a bit of skepticism. Reflecting back, I'd have to say that 2012 was a very successful year for me; I'm extremely grateful for all of the support I received. I started it off by taking an online class from Alyson Stanfield to work on my business plan and to help focus my priorities as an artist. I sold art consistently throughout the year and completed two commission paintings: West Loop Cityscape and Chicago Lakefront Skyline. 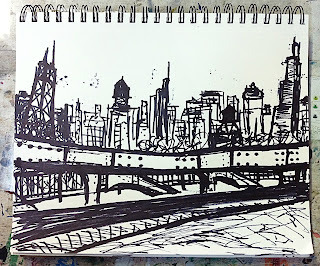 I hooked up with Chicago Art Leasing which is giving me more exposure by renting out some of my art to businesses and homes. 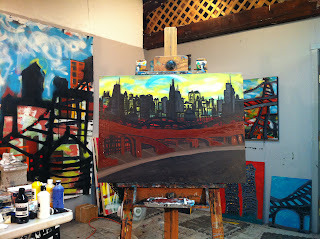 My studio was featured in the New York art blog, Hyperallergic - A View from the Easel; and I took an Experimental Drawing Techniques class to shake up my creativity. During the second half of the year, I worked with two different art consultants on various submissions to license my art for hotel redesign projects. Last week, one of them came through -- four of my cityscape photographs will be printed large-scale for the Mile North Chicago hotel downtown. A second project for another hotel is still in the works. 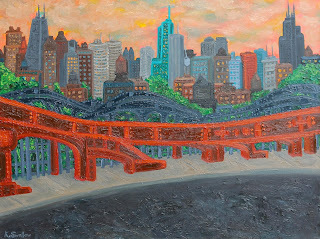 In addition to making connections with art consultants around the country, I explored some new online opportunities to help get my work in front of art collectors; such as ArtSlant, ArtBarcs, Chicago Art Database, ArtWorldChicago, Art Takes Times Square, and got my art represented in Xanadu's Online Gallery. I continue to show at the Writers Workspace and Transistor and will be exploring a lot more show and art licensing opportunities next year. One last thing I'm proud of is helping my wife start up the Chicago Writers Conference. We ran a successful Kickstarter fundraising campaign where some of my art went to some generous contributors. I volunteered on the Board of Directors, created the marketing and communications plan, developed website content, created a mobile app, and shot photos of the speakers and reading events. It was a challenge to say the least but very rewarding and we learned a lot. We'll continue CWC with a series of workshops throughout the year and the second annual conference in October. In early 2013, I'll be launching a new website redesign and I look forward to experimenting with oils to begin taking my art in some new directions.